Philippines has been ranked the “third most disaster-prone country” in the World after Vanuatu and Tonga. However, United Nations Officials often consider the country to be the most disaster prone country, given its large and vulnerable population and the frequency of natural disaster that affect it – an infamous distinction that calls for attention. Knowing the above fact and not implementing appropriate business continuity, disaster recovery and emergency management policies is tantamount to committing suicide. But to do this better, comprehending the best practices and learning the latest trends is a MUST. BCM Lead Implementer is a 3-day certification course designed by International Consortium for Organizational Resilience (ICOR). 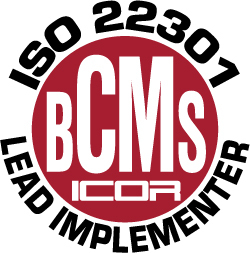 Whether you choose the eLearning or the instructor-led course, you will learn how to develop and manage a BCMS that is aligned to ISO 22301. Included in the course materials are case studies, multi-media, small group activities, games, and takeaways such as sample policies, a BIA/Rick Assessment tool, and templates. Expert Facilitator The program is facilitated by one of our leading consultants with years of experience in consulting and training in various industries, thus, giving the participants the advantage to tap on his extensive experience to solve practical problems in their current environment. Interactive Learning From face-to-face interaction to modules and workbooks, the training is an instructor-led course with a combination of presentation modules and interactive sessions with participants, allowing mind share to proactively address specific needs and issues in their own environment. Delivery Structure Using a variety of teaching methodologies including lecture,case studies, multi-media, small group activities, games, and discussions. 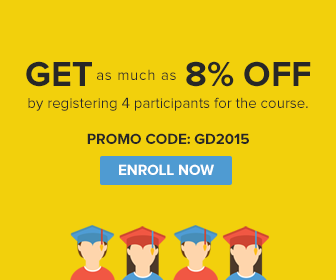 This course keeps students actively involved and engaged throughout the 5-day course. Training Package We provide high quality and well-researched training materials to make learning a meaningful experience for the participants. The training aids we provide to our participants are used as a quick reference resource for future use. • Understand the scope of ISO 22301 and how it can help you manage your business during times of crisis. • Identify potential risks and the areas of your organization most likely to be impacted. • Discover which operations are critical and how to protect these ahead of disruption, building customer and employee trust in your organization’s future. 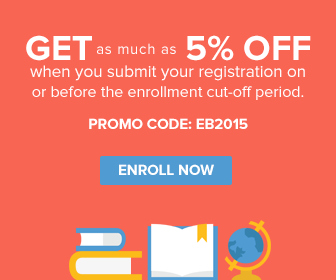 Eligibility: There are no pre-course requirements needed to attend the course. Is this different from your Certified Organizational Resilience Specialist (CORS) training? This course is previously called the Certified Organizational Resilience Specialist (CORS) but it was re-branded recently to maintain standardization with ICOR Standards. The course outline has been updated as well.